Alex Weston is 31 years old and hails from Calgary, AB, Canada. 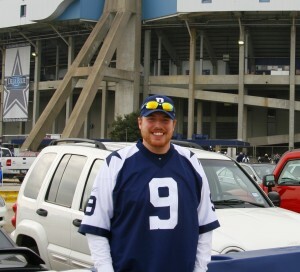 He has been a Cowboys fan since he first saw Tony Dorsett play as a kid. Alex grew up playing football from a young age and played through his High School years. He currently works with youth and young adults at Harvest Hills Alliance Church in Calgary. He enjoys watching and playing football in his leisure time, as well as playing golf and most other sports. Alex is thrilled to share his comments and love for the Cowboys on Cowboysgab.